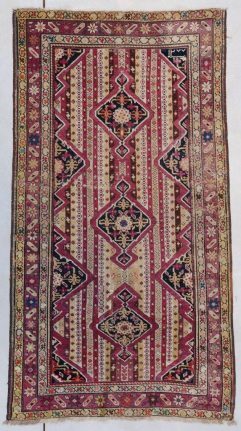 This antique Shirvan Oriental area rug dated 1818 measures 3’6” X 4’10”. 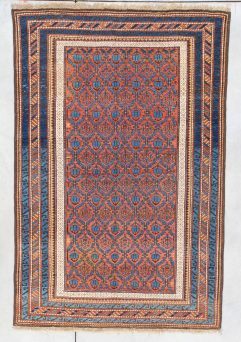 It is an extremely early dated Shirvan prayer rug. 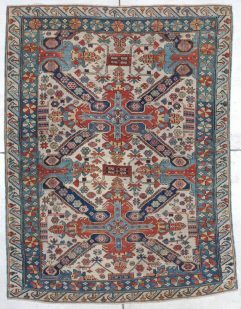 It has an ivory field with hexagonal lattice work filled with different floral motifs. Each one is different, including one with a horse. 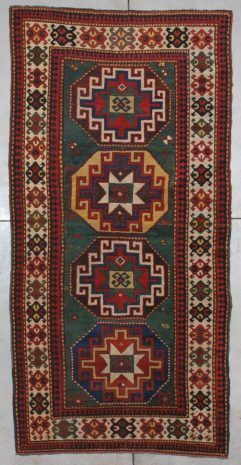 This is very rare in this type of rug. The spandrels are very nicely worked with a hookah, two combs, flowers heads, and two coffee urns. And, of course, the date 1233 which translates to 1818. The rug shows wear as photographed, but the ends have complete selvedge, which is nice. The border is nice with no reciprocals, which is also rare. All in all, a very nice, very rare, very collectible and very early rug. 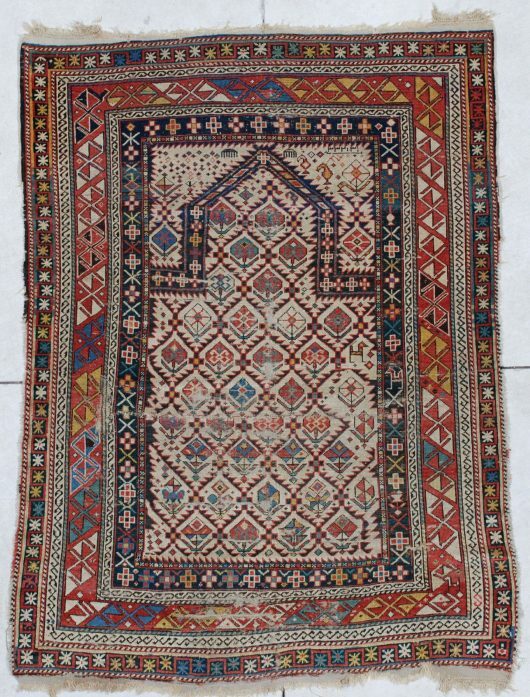 It is not often we find a provable dated almost 200 year old Caucasian rug. The buyer pays the shipping and insurance of $50.